It is good to research how other people went through hard times in order to be ready more for SHTF. And today, I have a reality check for you. With these mindsets, you cannot understand and draw the most important lessons from the reality of their survival experiences. Many people read about a situation and think, I cannot survive that situation, I cannot be prepared for that. A long time ago, when I started to construct physical survival courses, one of my first ideas was to make a course called “A Week in Hell”. The course was imagined to look like this: life in apartment or house for one week without eletricity, running water, or any other service, and only a very small amount of food. Other problems would be thrown at the students during that week: the psychological pressure of the unknown (a threat, dangerous people, engaging in trade) fixing broken stuff in home (broken windows, roof) solving problems (heating, a medical issue), etc. The point of the course was to condense all the reality and problems of SHTF in a short amount of time in realistic settings. And this is exactly the reason why I did not make that particular course – you can not condense all problems in such a short time, especially not if you add the psychological pressure that I think needs to be added in any survival course. 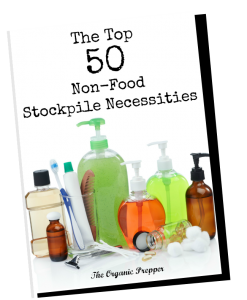 It is a process that needs time to feel and be prepared, and for the point of this article you need to understand that your life can prepare you a lot for SHTF. Any real life problems you are going through, you need to understand is one step more in the direction of being prepared for SHTF. No, you do not have to go through civil war or a complete economic collapse to have the mental and physical abilities to survive any future SHTF event. Just use any real life hard situation that is hard for YOU in order to be more prepared. A bad personal economic situation (it is bad more or less worldwide) can teach you a lot about valuing your money, buying at the sales, making your own food, or even thinking about your own garden. Following the bad economic situation worldwide, you probably noticed how your neighborhood has become a less secure place so you may think about how to be more ready there by making your home a more safe and secure place, or simply by having and knowing how to use gun. You are already implementing OPSEC probably, maybe without realizing it. 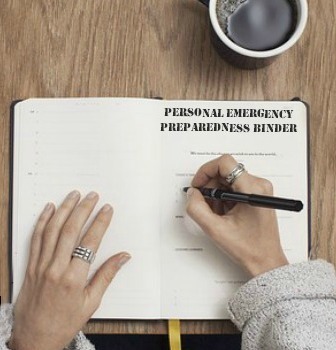 My point here is that you are probably more prepared in some fields then you realize, and your everyday life is (or should be) part of preparing. I have written more than one article about proving that it can happen everywhere, and it was happening everywhere, or it will eventually. I can’t repeat all that I have repeated many times before why it can happen everywhere, but again I will point out main thing. You might seem different because the society (system) around you makes you look different with implementing laws, rights, freedoms etc. Once when that layer of society is gone because of whatever reason, what you get is human nature, which can be very bad and it usually sticks with most primitive instincts and needs. It may not seem like it to you, but when things get really, really hard, when everything gets stripped down to very basic survival and to aquiring resources, most of the people are the same anywhere in the world. Even if they are conditioned not to be the same, after some time of being immersed into the reality of SHTF, most people get to the point I have described. You are preparing for that. What I do all the time when I try to learn from someone else experience is just that – learning from his experience. In other words, I do not care in what society he lives, is he a Democrat, a communist, a Republican, or from Klingon. I might hate him, his political views, or being religious (or not religious), I might find him primitive, annoying or whatever. I might even doubt very much that his situation could happen to me, but point is this: I still would love to know how he managed to overcome difficulties, how he found food or shelter, how he avoided being shot, how he coped with depression, anxiety, and anger if he lost someone dear to him. I still want to know that because food is food, fire is fire, trade is trade, and survival skill is survival skill no matter where these things are experienced. Remember that a big part of surviving is learning from different experiences and situations and adapting that reality to your own situation. Basics are basics, no matter where you are. Whenever you have doubts about something and someone (or hate it, dislike it), when it comes to the survival experiences of other people, try to reset yourself from judging. Try to reset yourself to the point where you can use his experiences. If that is too hard for you, just go to the basic survival skills (how that person solve those problems) and try to use it. Basics are always gonna be basics, everywhere.